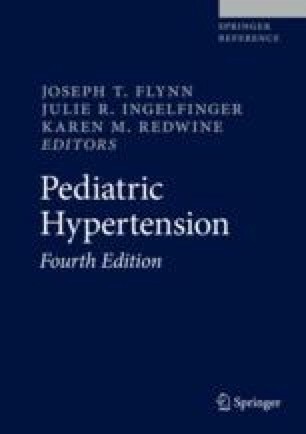 The key to diagnosing hypertension in both children and adults involves first accurately measuring the blood pressure and then accurately interpreting the obtained results. In the pursuit of understanding the importance of this measurement and over the course of centuries and countless experiments, first invasive (using arterial lines) and then refined noninvasive methods for measuring blood pressure were developed. In a contemporary clinical outpatient setting, unless a research study requires patients to have their blood pressure measured according to a specific procedure, a sphygmomanometer is applied to a patient when he or she is at rest; this is referred to as “casual or office blood pressure.” In the following chapter, we will review current methods employed to measure casual blood pressure and identify their advantages, disadvantages, and pitfalls. The authors would like to thank Marta Kobrzynski, Research Assistant to Dr. Filler, for her help in editing the manuscript and for providing relevant background literature.